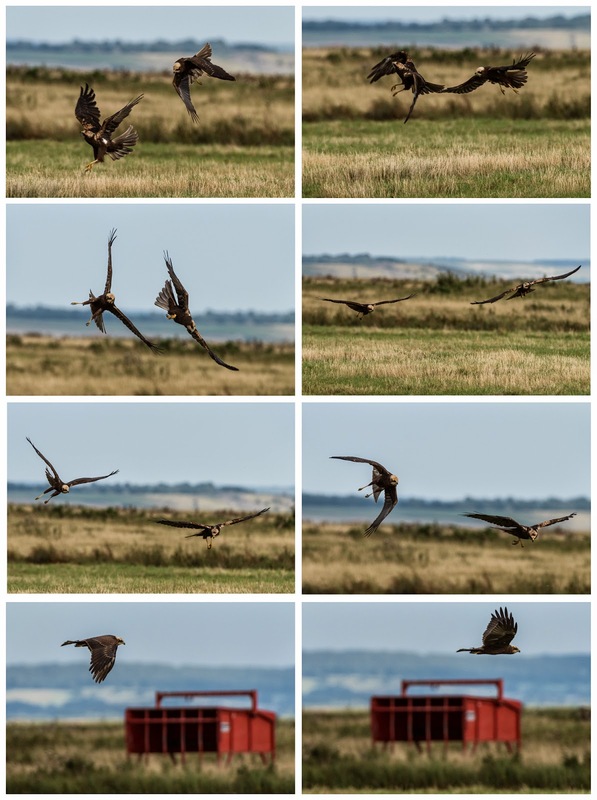 Juvenile marsh harriers at Elmley: deep crops from the D810/200-400 VRII. See text below. Click on the image to see it at full size. Just a quick follow up to my previous post on the Nikon D810. I said that the look of the prints would be an important deciding factor. So, I got some 18” x 12” prints made (by Proam, who I think are excellent). Alongside the D810 images, I got some “control” D700 prints made from pictures of similar aircraft taken earlier this year. The first print out of the pack was the Vulcan shot. It was one of those “Wow!” moments – it looks terrific. And the rest of the D810 shots looked terrific. Then I came to the D700 shots … err … they looked terrific as well. Actually, the differences in quality at that size print are pretty small. I showed them to Phil and asked him to guess which came from the 12MP camera, and which from the 36 MP camera. After a bit of humming and hahing, he got it right, and without any prompting from me. So, yes, there are discernable differences between D700 and D810 pictures as 18” x 12” prints, but they are very slight. A bit more edge acutance, perhaps, but not much. Better tonality on a dull day, I think. Maybe if I got some bigger prints done, it would be clearer, but for normal pictures, normally framed and not excessively cropped, it is not a big deal. In any case, that Vulcan picture was taken in portrait orientation as the aircraft banked rapidly: it is cropped on the left and right hand sides, and represents a crop from a full print equivalent to about 27” x 18”. The concept of making a print that size, pin sharp with wonderful tonality is stunning. 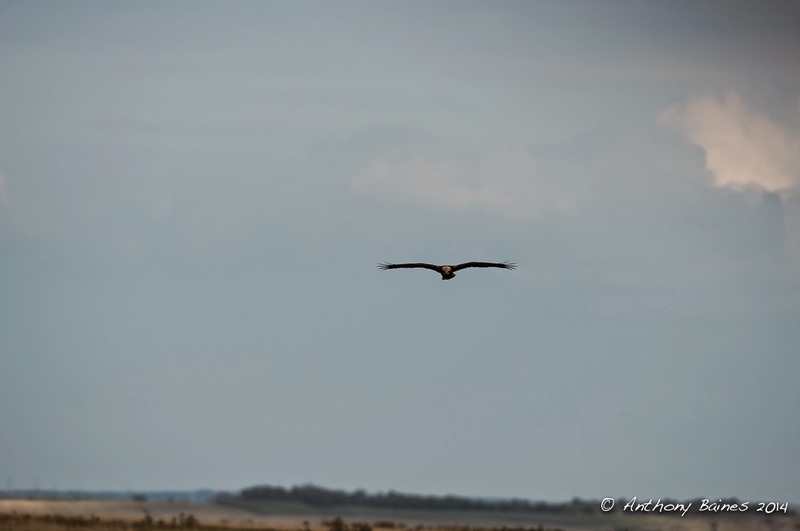 On the Sunday I had the camera, I headed off to Elmley Marshes NNR. Not a great time of the year – very much in between seasons. However, Elmley is such a magical place, there’s usually something worth seeing. Trundling in the car slowly along the track, I saw a small shape in the far distance on the ground. I pulled over on to the side of the track; a quick peek though binoculars confirmed it was a raptor, as best I could tell it was a marsh harrier. Before I could get the camera set up, pointing out of the car window, a second bird flew in the direction of the first – another harrier. Here is the full frame of the first shot (at 400mm, 1.2 crop). Of course, this is just a quick grab – not the right lens, fieldcraft or anything. However…. The new arrival made a beeline for the one on the ground, and they started to play. I grabbed a series of shots, just letting the camera go at 7fps for as long as they kept at it. Fairly quickly, one flew off and I lost sight of the other. I followed the one that flew off with the camera: it kept the focus – never wandered – and kept shooting, without the buffer filling up. They are too far away for exhibition purposes, but at smallish size, suitable crops look great. The opening image is a compilation from that series of shots. What was really impressive was the focusing. To lock on to a small moving subject that far away, and never lose it is simply amazing. This is with the group AF, and AF-C setting. The long and short of it is that I could never have got that series on the D700. The focusing would not have been good enough, and the resolution would have been inadequate. A big win for the D810. Since then, I’ve been to a couple more airshows – the Duxford September show and Shuttleworth Season Finale at Old Warden. I just used the D700 as usual, and I got a bunch of pictures that I really like. Both airshows featured unique opportunities for aviation pictures: the Canadian Lancaster at Dux; two (yes, two) Mew Gulls and the DH88 at OW. The D700 was great to take along because I’m now very familiar with what it can predictably do in my hands. I got some pictures that I’m delighted with. But it hunted for focus once in a while, and I lost most of one series of pictures because the focusing wandered off an aircraft as it accelerated to take off, focusing on the background instead. A low rate of loss, for sure, but I didn’t experience that at all with the D810. So, for my purposes – and your mileage will definitely vary on this – I think the D810 is the best general purpose camera available. Is it worth £2400 (roughly the price at present) to me? And what about the D750? Hmm …. I’ve not shot with the D750, so can’t comment specifically. Before I’d known about the D810, I’d probably have said it was the camera for me. 24MP, 6.5 fps, top of the range AF, tilt screen (excellent for those low down pictures), great low light performance (both the latter being just the job for aircraft nightshoots), about £650 less expensive at the moment: what’s not to like? Well … Glenn Bloore, an excellent aviation photographer, states the buffer is very small. If he says so, I believe him. Ever since I sat next to Kojak by Derwent Dam as the BBMF Lanc flew over, and he missed the absolute key shot because the buffer was too small, I’ve promised myself I’d never get a camera with a small buffer. I like the idea of the 1.2 crop as well: it turned out so well at Shoreham getting 25 MP on 240-480 mm equivalent. And 36 MP when you need it. So, if it ever comes to it, the D750/D810 dilemma is quite acute. It is theoretical for the moment, in any case; the piggy bank needs a lot of fattening ;-) . The trouble with male GAS is that it is never truly rational. I got my LRPS, ARPS and CPAGB with D300 pictures. The D700 is better than the D300. If I could not get to the next stage of my (extremely slow and intermittent) letter hunt with my current gear, it is not the gear. I don’t doubt that spending £2400 on a trip somewhere exciting would see me closer to the next set of letters. But GAS is like a determined guard dog: once you’re bitten, you stay bitten.